The Home Office issued just over 7.5 million in civil penalties for illegal working from 1 January to 31 March 2018. Employers with large, multi-sited workforces are particularly at risk of allegations of illegal working and civil penalties, which can have serious financial, operational and reputational consequences. In addition to issuing penalties of up to 20,000 per employee working illegally, the Home Office also has the power to close premises for up to 48 hours in certain circumstances, followed by special compliance requirements as directed by the courts, including continued closure for a defined period. Employers who either know or have reasonable cause to believe that an employee does not have the right to work also risk personal criminal liability resulting in an unlimited fine and potential imprisonment for up to five years. In addition, an employer with a Tier 2 sponsor licence in breach of its immigration compliance obligations is also at risk of having that licence revoked. This would potentially mean having to terminate the employment of all of its Tier 2 sponsored employees and being prevented from sponsoring anyone else for at least a year. Checks should be carried out on all prospective employees before their employment begins regardless of perceived nationality or right to work. Review your right to work procedures ensure the right people understand how to conduct the necessary checks and the risks of getting it wrong. Update your right to work policy to refer to the new online right to work checking service whilst noting that the current manual checks on List A or List B documents remain valid. The new online service has been set up, in part, to enable employers to check whether EU citizens have pre-settled or settled status from 1 January 2021. However, even in a no-deal scenario, the Home Office has confirmed that, until then, EU citizens will continue to be able to evidence their right to work using a passport or national identity card. In addition, employers will not be required to carry out retrospective right to work checks on existing EU employees, only on new starters from 1 January 2021. Carry out regular right to work audits of your employee files if evidence of the right to work is missing, carry out a new check as soon as possible. Bear in mind that the required documentation varies depending on the employee's start date, particularly for those who started before May 2014, and there is no requirement to hold proof of the right to work for those whose employment started before 27 January 1997. To confirm an employee's right to work in the UK and obtain a statutory excuse against a civil penalty, you should check original specified documents (in the presence of the holder) as set out in List A or List B and retain a copy. To obtain a statutory excuse, you must also keep a record of the date on which the check was carried out, either by making a dated declaration on the copy or by holding a separate record (simply writing a date on the copy document is not sufficient). Alternatively, if you are able to access details of the employee's right to work using the online service, you should retain a clear copy of the "profile" page confirming the employee's right to work. For employees who have a time-limited right to work in the UK, put in place a robust system to flag visa expiry dates well in advance, so that a follow-up check can be carried out in good time. When inheriting employees under TUPE, you cannot always safely rely upon right to work checks carried out by the previous employer. You should carry out additional right to work checks within the 60-day grace period from the transfer date to check for missing documents, correctly record any visa expiry dates and protect yourself from a civil penalty. Evidence confirming the right to work should be kept securely (electronically or hardcopy) for the duration of employment and for two years afterwards. UK right to work immigration policy is complex never be afraid to ask for help. 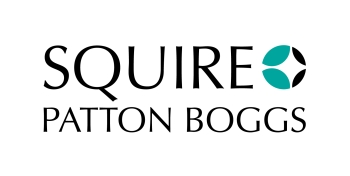 "Strengths Clients say they work with Squire Patton Boggs `specifically because of their excellent knowledge and skill with immigration matters.'" "They are my go-to firm for immigration and I trust them with the most difficult of cases." "Sources describe the team's strengths as `technical expertise, a high level of customer service and commerciality.'" "Their level of communication, whether written or verbal, is of the highest quality and they explain our options in the simplest of language, cutting out legal jargon that can be confusing."